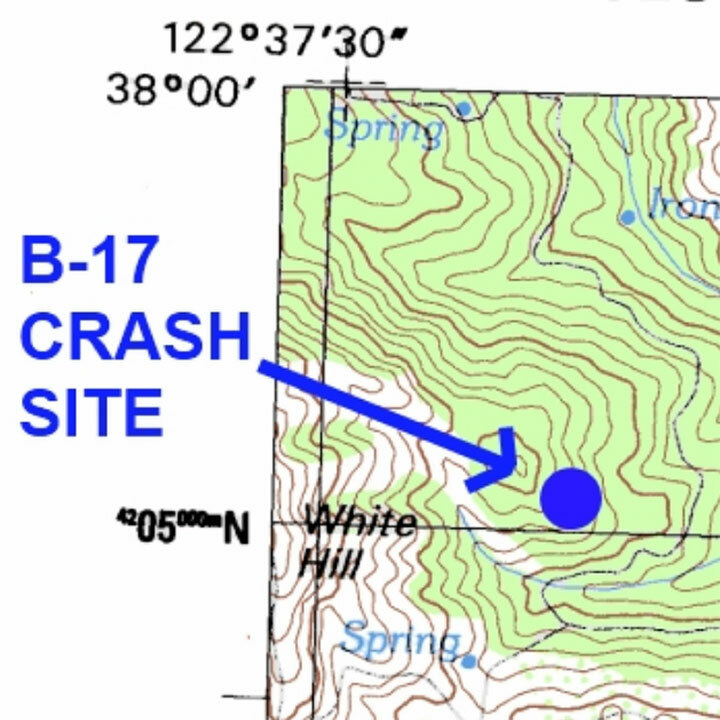 Come on a hike with Ranger Mike Warner to find the crash site of the B-17 Flying Fortress, a bomber aircraft from World War II. We’ll discuss the history, context, and mystery surrounding the site. We will meet at the listed location and carpool to our starting point. This event is ideal for ages 8 and up. Degree of difficulty: Moderate to strenuous. Dress in layers and wear sturdy shoes. Don’t forget to bring water and lunch. We request that no pets (except service animals) attend. danger status and land closures. If a "Red Flag" warning is in effect, all walks and events on Open Space District preserves are cancelled. Please reserve your spot in advance, as this event is limited to 30 participants. Questions or to RSVP: Contact Ranger Mike Warner at MWarner@marincounty.org. Directions: Meet at the roadside parking area near the top of White Hill Grade on Sir Francis Drake Blvd.om Hwy 101 in Larkspur, take the exit for Sir Francis Drake Blvd west 8 miles. Park in the big gravel pullout on the right side, below the crest of the hill.